This radiator modulates its energy use based on its users’ habits, incoming/outgoing electricity flows, and peak/off-peak times. You can use up to 50% less energy! 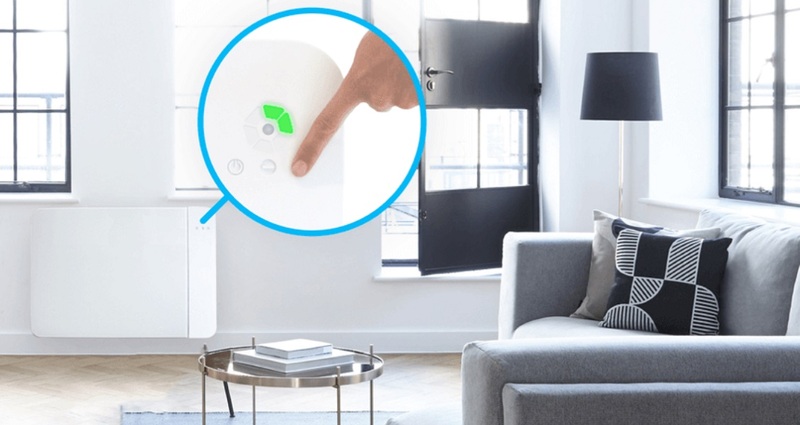 The start-up that makes it will be at La Poste’s French IoT stand at CES 2019. By adding a battery to a high-efficiency radiator, Lancey Energy Storage is able to reduce its electricity consumption, and therefore your energy bills, by storing energy during off-peak times. It still provides plenty of heat and comfort, installs easily, and has simple controls that you can access using your smartphone. Lancey Energy Storage is a French start-up that was founded in Grenoble in 2016 by three partners: Raphael Meyer, CEO and PhD in Thermal Physics, Gilles Moreau, CTO and energy storage specialist, and Hervé Ory, a serial entrepreneur. This start-up is developing heating solutions that make the most of renewable energy sources, limiting energy use and providing optimal thermal comfort. While they were at first marketed to companies and municipalities, they are now available for individuals to purchase as well. Lancey radiators have sensors that detect whether or not anyone is in the room and can even tell if a window is open. They have learning capabilities, allowing them to automatically adapt to users’ habits, the weather, or to any of the building's particular thermal characteristics. Users can use an online app to control the radiator remotely, allowing them to set a different temperature for each room. This app also provides information about real-time energy usage, in both kWh and euros, with periodic summary reports. Rather than using Wi-Fi to connect to your phone, the radiator uses an M2M SIM card connection, which is more reliable and easier to access. By using natural stone heating blocks and an infra-red radiant panel, these radiators are able to provide an immediate sensation of heat and optimal comfort. They run silently and are made in France. For Lancey Energy Storage, making decentralised energy storage more widely available is an essential part of the energy transition. With its battery-equipped radiators, this start-up is offering both individuals and businesses an easier way to use independently produced electricity (from solar panels or other sources), and to integrate renewable energy sources into the local distribution network (energy sharing between radiators, reselling excess energy). More information is available on the Lancey Energy Storage website. An electric bicycle battery in your radiator? Bemobi, which is a subsidiary of La Poste, secured a contract with Ile de France Mobilités to install and operate a new long-term rental service offering 10,000 electric bicycles starting in September 2019. Lancey Energy Storage is planning on re-using old bicycle batteries in their radiators. Naturally, the two companies are planning on working together.